"This is the magic book I wish I had when I was a kid....!" Do you know your riffle shuffle from your French drop? Can you make a bottle disappear or read someone's mind? 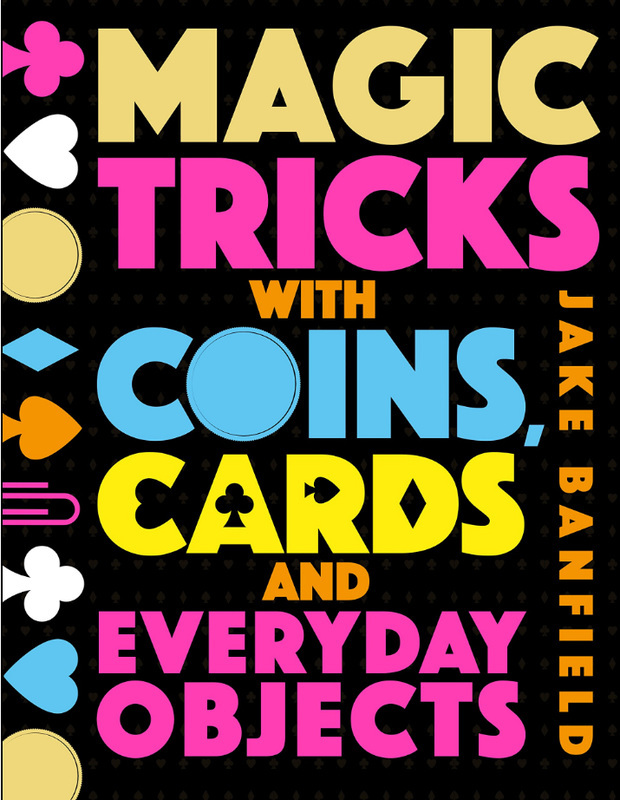 Jake's brand new magic book takes you on a journey through all the different types of magic. Learn the greatest magic tricks around and astound your friends and family, all without buying fancy props or equipment. From coins to muffins, make magic with anything you can get your hands on. Including over 50 step-by-step magic tricks of varying levels of difficulty, this book is a great insight into the popular world of 'street magic' – where magicians specialise in up-close, informal tricks to bamboozle their audiences. A mix of graphics and up-close photography, and with clear, easy-to-read text and fascinating facts, this book is guaranteed to keep you entertained for hours. The book is available now on Amazon for £9.99!! !